In early August, I had the pleasure of welcoming alumni and friends to the CALS Alumni Organization event on the evening before Ag Expo, the state’s largest annual field day. More than 70 alumni and friends of the college attended the event, held at Good Luck Cellars in Kilmarnock. We were joined by horticulture doctoral student Cain Hickey, who is based at the Alson H. Smith Jr. AREC and gave a special presentation on the state of the wine industry in Virginia. This year’s Ag Expo was held at Bleak House Farm, operated by the Downing family in Lottsburg, Virginia. The theme, “Northern Neck Agriculture: 400 Years and Still Growing,” highlighted the important role of Virginia agriculture, the commonwealth’s largest industry, to the state’s economy. More than 1,800 people attended the event that included over 140 exhibitors showcasing the latest agricultural equipment, services, and technology. The program included many presentations by faculty, staff, and students. Back on campus, the college held a welcome session for new students on Sunday, Aug. 24. About 250 students attended the get-together. There are nearly 700 new students in CALS this fall, including freshmen and transfer students, along with 70 new students in the Agricultural Technology program. 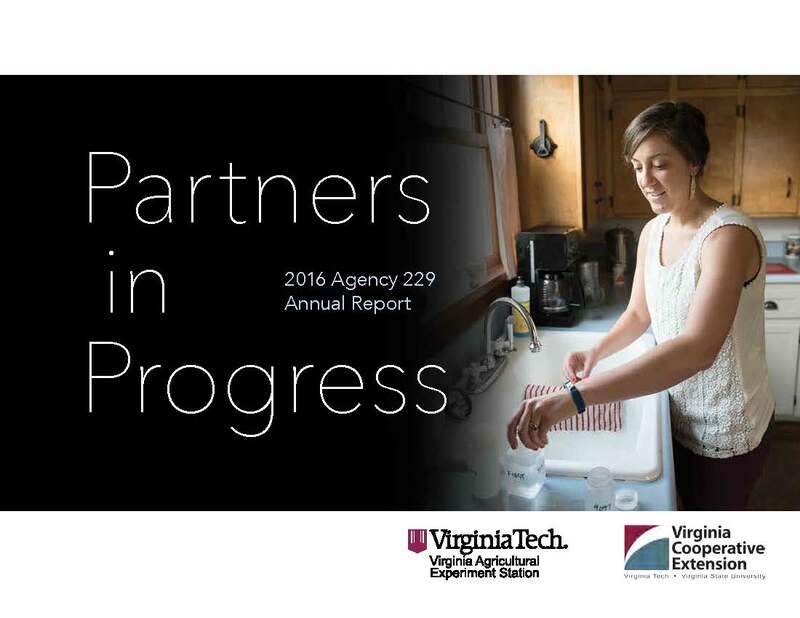 Of these incoming undergraduate students, 35 CALS students participated in Virginia Tech’s Summer Academy in July. Participation in the Academy has tripled since its inception in 2012. In addition to incoming freshmen, we are welcoming 14 new tenure-track faculty members to the college this semester. These new faculty will be contributing to teaching, research, and extension and are bringing talent in the college’s focus areas, such as agricultural productivity and environmental sustainability, bio-based products and processing, and health and nutrition. New faculty orientation in CALS takes place at the Inn at Virginia Tech on Sept. 24. Now that we have returned for the new academic year mark your calendars for two events this month to greet the students and reconnect with one another. The CALS Fall Kickoff and Ice Cream Social welcomes all students, faculty, and staff on Wednesday, Sept. 3 from 4-7 p.m. on the Ag Quad. Be sure to bring a blanket and chair and your camera; the HokieBird will be there. Join the CALS Alumni Organization three hours before the Virginia Tech/ Georgia Tech game kickoff on Sept. 20 at the entrance to Litton-Reaves Hall for the 2014 College Fall Fest Homecoming Tailgate. Activities include a tailgate buffet with adult beverages, games and activities for all ages, and live music. Open to all faculty, staff, and students of the college, this is a great opportunity to socialize and have fun before the game. Be sure to RSVP. As we begin another academic year, I look forward to working together. Thank you for all you do for the students, the college, and the communities and industries we serve. Best wishes to everyone for a successful year. This entry was posted in Past Issues and tagged AREC, dean, Events, Students. Bookmark the permalink.